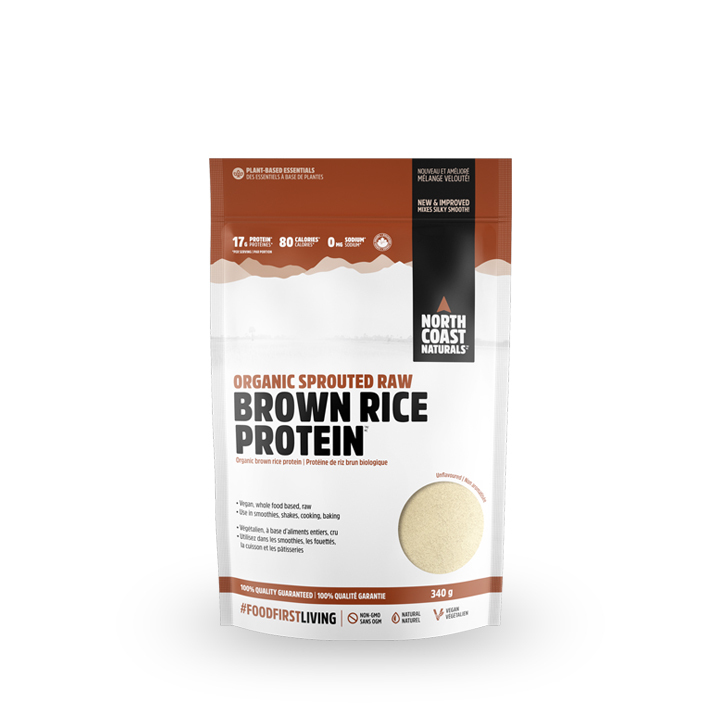 North Coast Naturals Organic Sprouted Raw Brown Rice Protein makes choosing a hypoallergenic and plant-based protein powder an easy decision. Even with food allergies or sensitivities, you can be sure to get the protein your body needs for optimum nutrition. This 100% sprouted vegan protein undergoes gentle low-temperature enzyme extraction to preserve its raw protein quality. Sprouted brown rice protein is nutritionally superior and more digestible. Rice protein is considered to be the most hypoallergenic vegan protein and is naturally gluten-free, making it very well suited to individuals with multiple food allergies/sensitivities. Sprouted brown rice protein is a nutritionally superior protein option compared to non-sprouted rice. Studies suggest that sprouting increases the nutrient content while improving the amino acid profile. Unlike soy protein, rice protein has low levels of anti-nutritional factors (enzyme inhibitors), which is one of the key reasons that rice protein is a more digestible choice than soy protein. 100% pure organic sprouted brown rice protein.